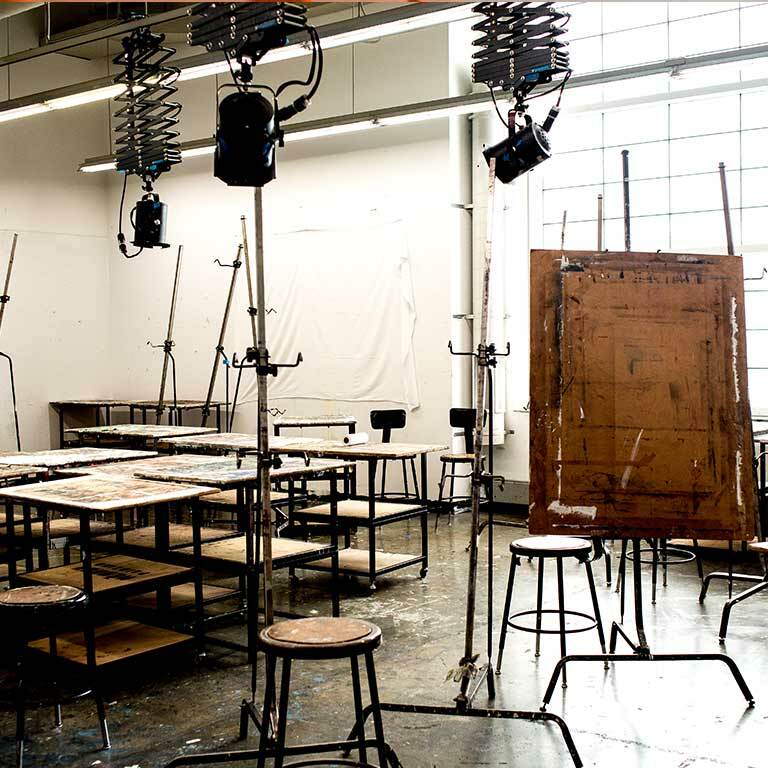 Herron’s spacious, well-equipped studios are some of the best you will find anywhere. As a Herron student, you’ll spend a significant amount of time in your studio, conceptualizing, exploring techniques, inventing your personal aesthetic, and maturing as a creative individual. All seniors have dedicated individual spaces within larger studios. Graduate students and some advanced undergraduates have their own studios. Ceramics studios include electric, gas, soda, and raku kilns; a complete glaze lab; a pit firing area; and tools to explore glasswork, screenprinting, image transfer, and 3-D printing. Graduate students have their own studios and dedicated wheels. Our workshops are among the best facilities in the country for furniture design, with a well-equipped tool room, computer and design stations, and a vacuum pressing station for advanced laminating and veneer techniques. Graduate students have their own studios. Herron’s illustration students are supported by an enviable studio environment, whether it’s traditional drawing and illustration techniques or the exploration of digital technology at one of 10 Cintiq Wacom workstations. 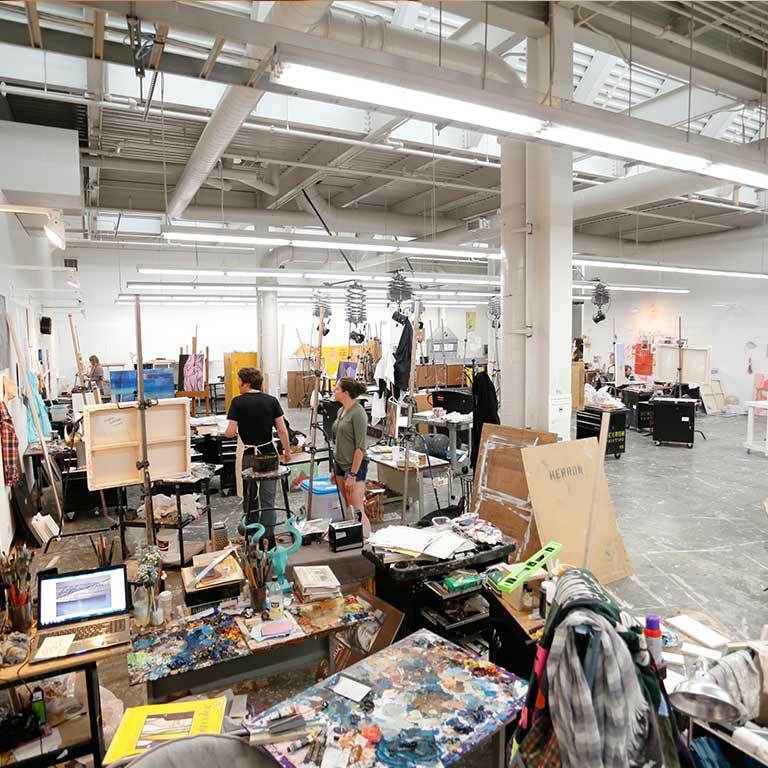 Several airy, well-lit, and ventilated studios are devoted to Herron’s painting students, including a 3,209 square-foot studio for juniors and a 5,461 square-foot studio where each senior has a private space. 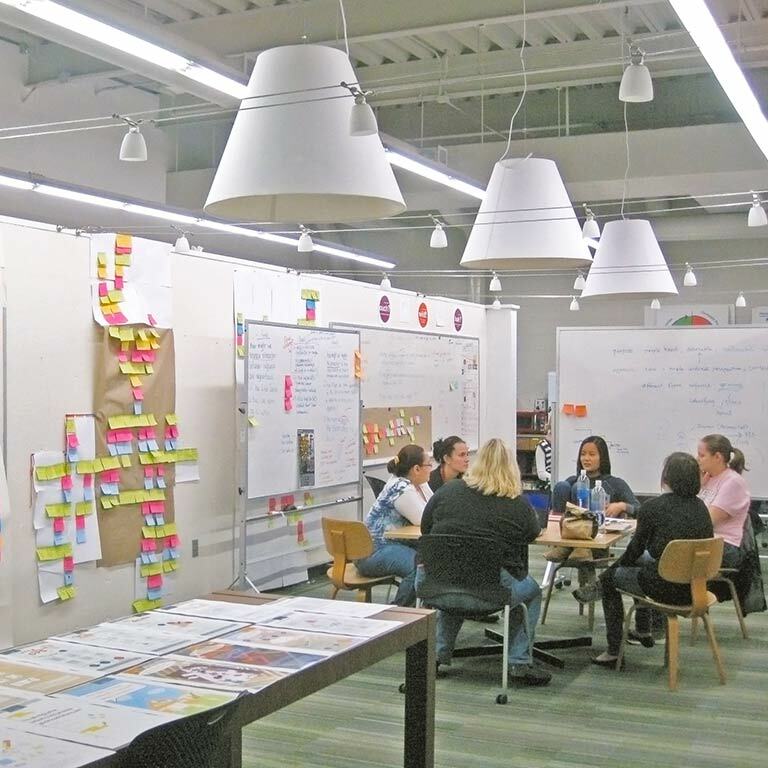 Graduate students have their own studios in the Eskenazi Fine Arts Center. 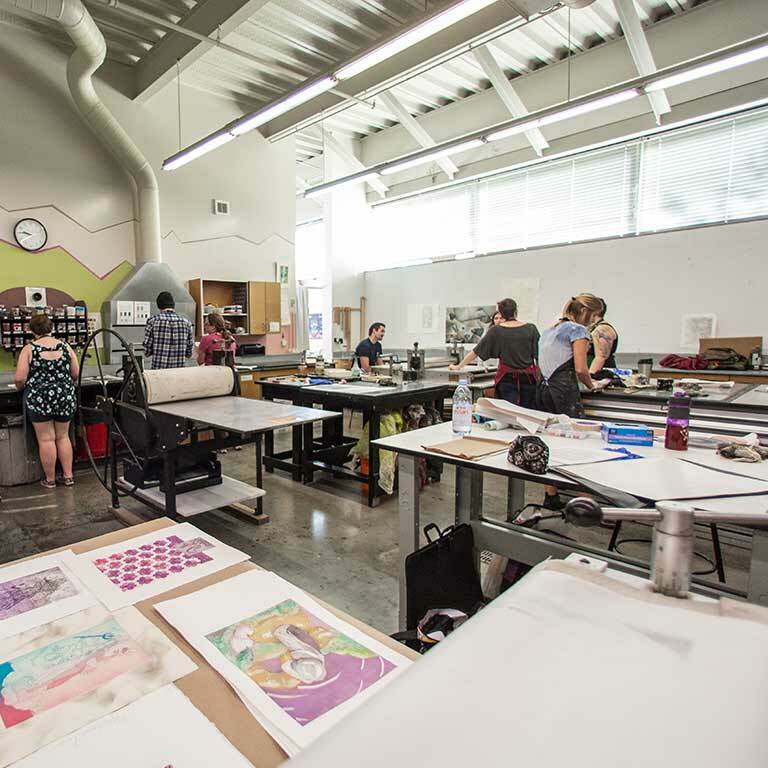 Printmaking has three studios for lithography, etching, and silkscreen processes; a book arts and letterpress studio; and space for stone graining and photomechanical processes. Advanced undergraduates and graduate students have their own studios. Photo facilities support both analog and digital image production, with a professional shooting studio, portable lighting equipment, traditional darkrooms, digital SLR cameras, and video equipment. 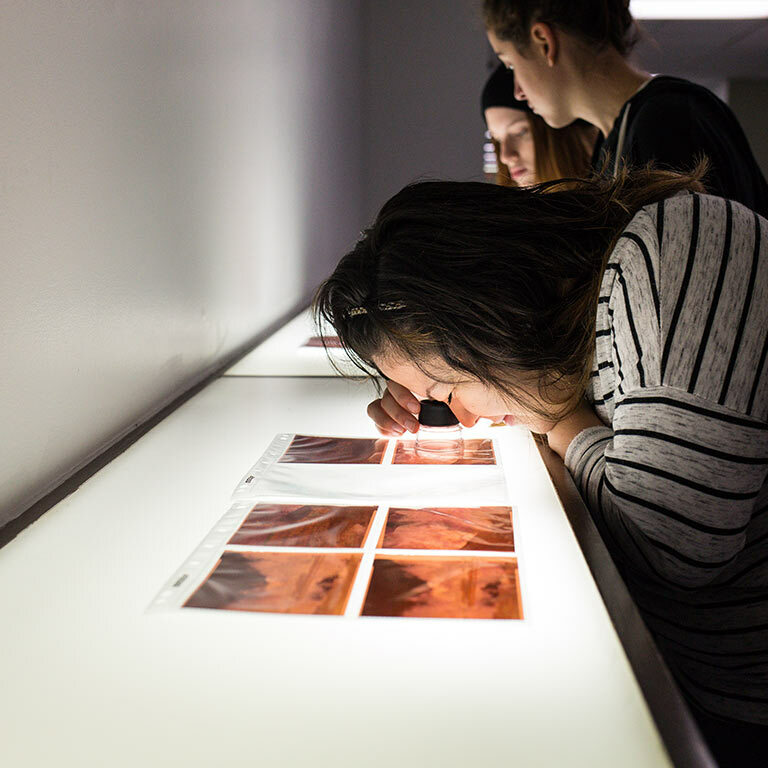 Graduate students have their own darkrooms and assigned studio spaces. 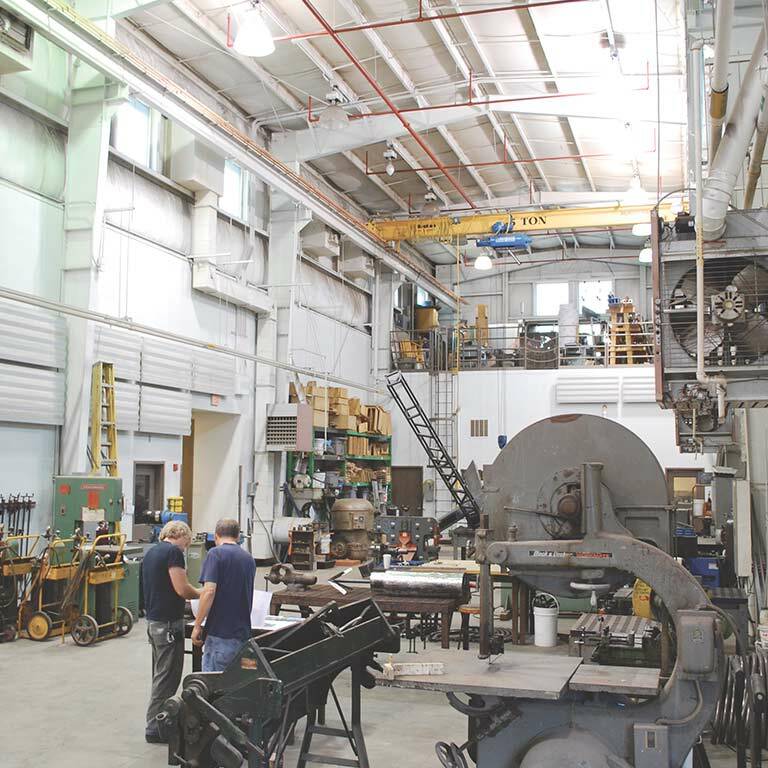 Herron’s sculpture facilities include 18,000 square feet of tools and workspaces for any material. Juniors and seniors have individual workspaces. Graduate students have their own studios. All sculpture students have monitored access to facilities at night and on weekends. Tools available to visual communication design students include offset printing, photography, and multimedia. Each VCD graduate student has a semi-private workspace, and a separate conference room is dedicated to graduate seminars.